Intimate black, Yellow & green baby shower! 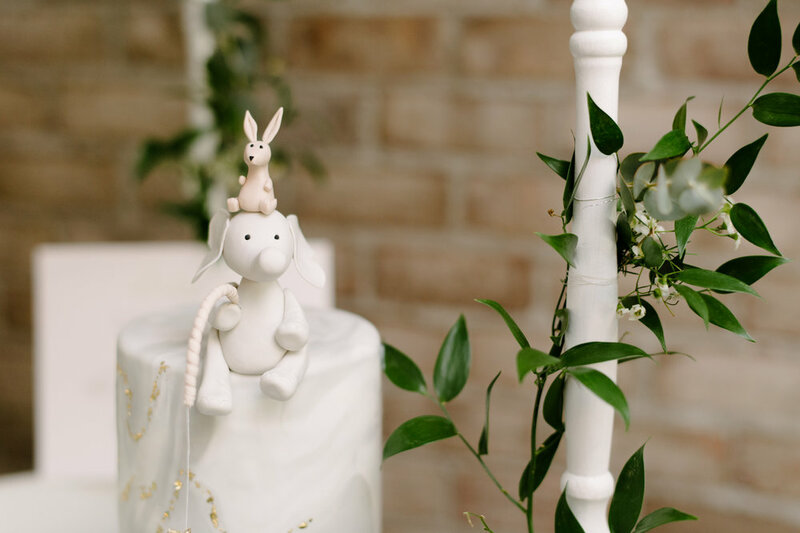 Check out this sweet & intimate gender neutral baby shower on the Inspired by This blog! There was a time when waiting to find out a baby’s gender meant lots of whites and greens; but we don’t have to compromise style when having a “surprise” baby to have a super-special and personal baby shower. When planning the shower, this chic mom-to-be didn’t want anything typical. So, we did a hint of masculinity mixed with soft pastel yellows for a perfect gender neutral baby shower. 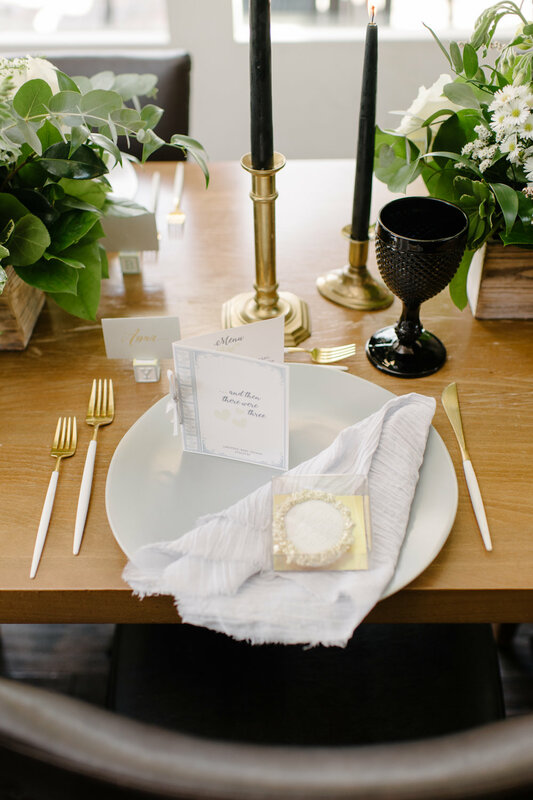 There were personalized touches throughout with nods to the little babe & stunning mom-to-be. 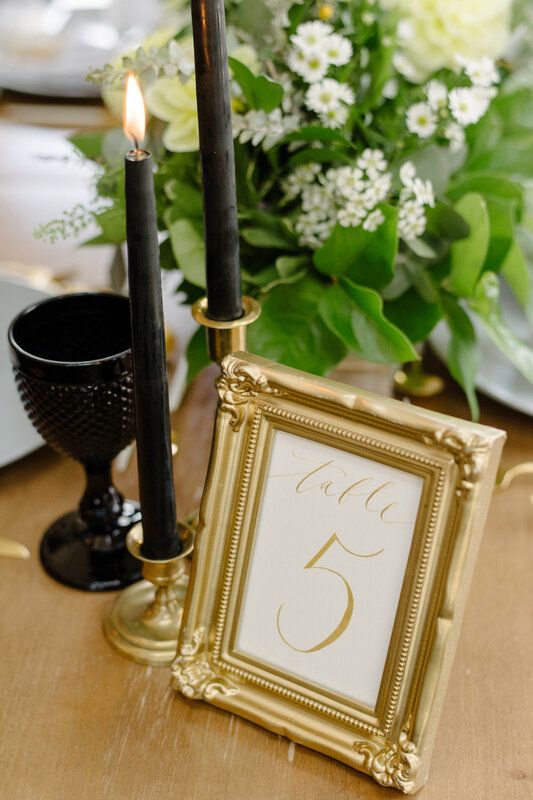 We were inspired by the restaurant’s rustic, intimate setting for the design- the juxtaposition of the black accents with the soft yellows and gold metallic elements really was the perfect combination for the event. Guests were asked to bring a book instead of a card to build the baby’s library – we did a book cart with a stellar floating balloon arch. Keeping with the book theme, the menu was a custom baby “book” for each guest and the place cards were on custom baby blocks. The cookie favours also had different sayings on them. It was a sweet afternoon celebrating little baby C and the mommy-to-be!